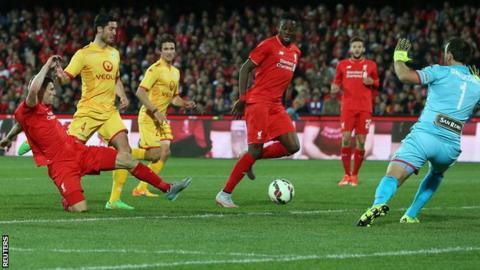 Summer signings James Milner and Danny Ings scored as Liverpool beat Adelaide United 2-0 on their pre-season tour. Milner, who also netted in the 2-1 win over Brisbane last week, diverted Jordon Ibe's low cross home after 68 minutes at the Adelaide Oval. The home side had few chances but Tarek Elrich's 20-yard shot skimmed a post. And Ings sealed Liverpool's win with his first goal for the club - slotting home after collecting a pass from fellow new signing Nathaniel Clyne.